As a South Florida employee who is loyal to your employer, it took a lot of courage to come forward and become a whistleblower when you discovered that the leaders of your company were engaged in illegal and potentially harmful practices. You were confident that the law would protect you for doing the right thing, but after weeks of harassing and bullying behavior at work, you were finally fired. Your willingness to step forward and report on your employer’s wrongdoing has cost you your job. At the Yeboah Law Group, our Fort Lauderdale employment discrimination lawyers are here to fight for your protection from the retaliation you have experienced after becoming a whistleblower at work. We will be your strongest advocate and make sure that all the protections of the law are working in your favor. In May 2017, a federal appeals court ordered a railway company to pay $260,000 in punitive and compensatory damages, and take corrective action on behalf of an employee who was subjected to retaliation and firing after the employee filed a whistleblower complaint. OSHA investigated the complaint and found that the employer retaliated against the worker when he tried to report an injury. What are the federal whistleblower laws in place to protect employees?  Florida has a state whistleblower retaliation statute, called the Florida Whistleblower’s Act, which make it illegal for employers to retaliate against an employee who has reported on the illegal or unethical practices of his or her employer. 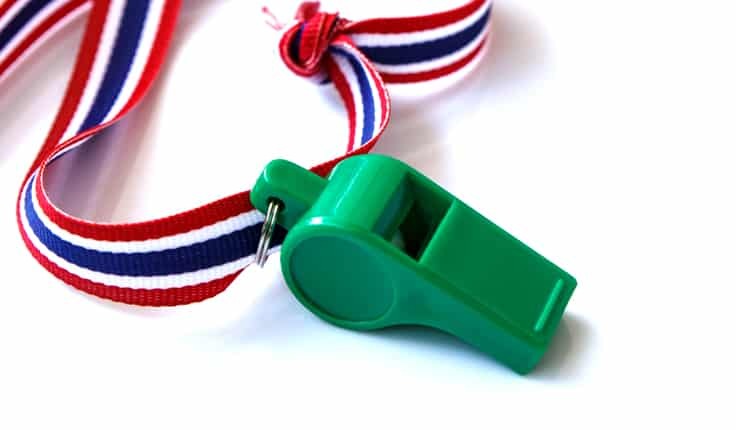 A Florida employee who is facing whistleblower retaliation may file a complaint with the Florida Commission on Human Relations (FCHR) and the EEOC, and then may bring a civil action within the time allowed by applicable law. Dodd Frank Act (DFA). Protects whistleblowers who have provided information to the Securities and Exchange Commission (SEC), the Commodities Futures Trading Commission, or the Bureau of Consumer Financial Protection. Whistleblower Protection Act (WPA). Protects federal employees. Federal False Claims Act (FCA). Protects employees who expose government fraud. Federal Railroad Safety Act (FRSA). [49 U.S.C §20109] Protects employees of railway carriers, their contractors and subcontractors. Consumer Financial Protection Act (CFPA). [12 U.S.C. §5567]. Protects employees in the finance industry. FDA Food Safety Modernization Act (FSMA) [21 U.S.C. 399d]. Protects employees of food manufacturers. Wendell H. Ford Aviation Investment and Reform Act for the 21st Century. Protects workers in the aviation industry. How can a Fort Lauderdale employment discrimination lawyer help? When you have been fired from your job for doing what you believed was the right thing, it can feel lonely and you might wonder if your life is ruined forever. The skilled Fort Lauderdale employment discrimination attorneys at the Yeboah Law Group understand your fears and concerns and we are here to listen to your story and offer legal guidance on how you can get your job back and pursue the remedies available to you under Florida state law and federal law. We will be your advocate; we will protect your rights when it seems like the world is against you. Does your livelihood feel threatened because of whistleblower actions that you took? Has your employer retaliated against you because you reported illegal or questionable practices going on at your place of employment? The Fort Lauderdale employment discrimination attorneys from Yeboah Law Group are committed to being strong advocates for our clients who have been treated unfairly by employers who are breaking the law. We invite you to schedule a consultation so that we can discuss the legal options available to you. 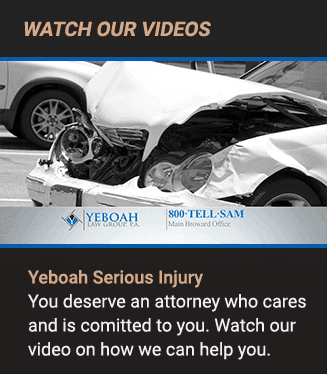 You are encouraged to call us today at 800-TELL-SAM or complete our contact form to schedule a free consultation with our legal team right away.